As part of my 35:35 Challenge, I recently spent a wonderful afternoon in the company of the wonderful Lynn Hill and a table full of strangers. Lynn Hill is a bone fide celebrity these days. Founder of Clandestine Cake Club, creator of The Secret Tea Room, she is all about the cake. You might even recognise her from TV! The Secret Tea Room is a pop-up afternoon tea, held in a (you guessed it) secret location in Leeds. Lynn sent out the menu a few days before we all arrived and it whetted my appetite immediately: finger sandwiches, homemade savoury tarts, followed by a selection of different cakes, Yorkshire tea loaf with Wensleydale cheese, and plain scones with clotted cream and strawberry conserve…mmm. I arrived on my own, to be met by a table full of nine people, all of whom knew one other person, but not the whole group. It didn’t matter. There is nothing quite like a table groaning under the weight of home-made afternoon tea treats to get the conversation flowing. We chatted throughout the whole two hours and managed to work our way through the wonderful food. 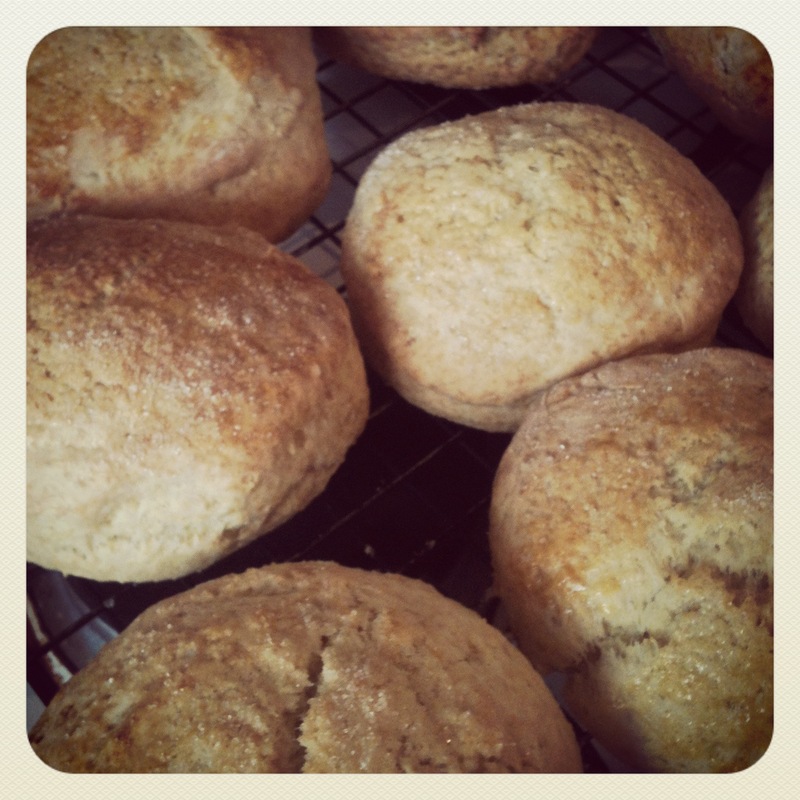 I loved all of it, but I surprised myself by loving the plain scones with clotted cream and jam the most – I ate two on the day, and was inspired to have a go at making my own afterwards (which you can see below) as part of my own Cookbook Challenge. The Secret Tea Room was such a lovely experience. The pop up or underground food experience seems to be well and truly established now and often involves talented people inviting strangers to dine in their own homes. Having enjoyed this so much, I’m going to investigate other places to visit and eat. There is something truly interesting about dining with people you don’t know and the addition of food ensures that there is always something to talk about. If you have any food recommendations, I’d love to hear from you!